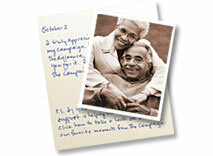 Caregiving demands physical, mental and emotional stamina and the ability to meet new challenges daily. But along with the challenges come unexpected gifts of strength, patience and understanding. Some days you know your care has been appreciated and other days you know your care has not been appreciated nor wanted, although necessary. Please share your stories with us, or submit a photo to tell your story for you, or submit both. You can also view stories others have submitted. 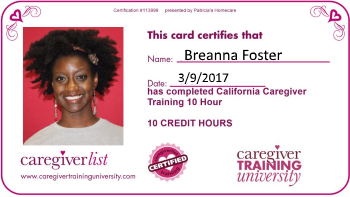 Learn more caregiving skills by our Caregiver Training Videos.